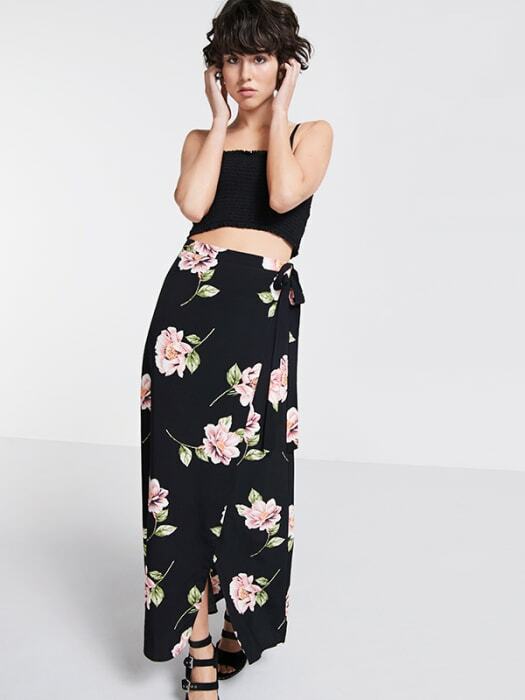 Struggle to wear black in the summer? 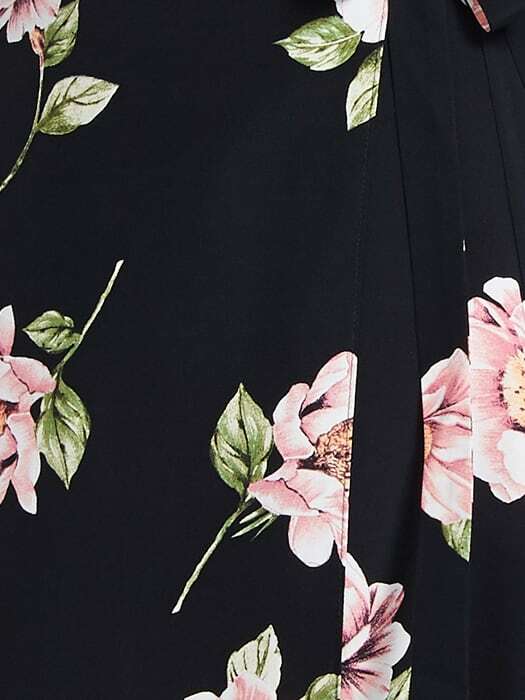 Not anymore… This Floral Wrap Maxi Skirt is patterned in all-over pops of pink blossom, while side-tie detail provides that all-important finishing touch. Sitting high on the waist, work the cut with a black bandeau and strappy heels for a look that’ll see you from lunch hour to happy hour, no problemo.